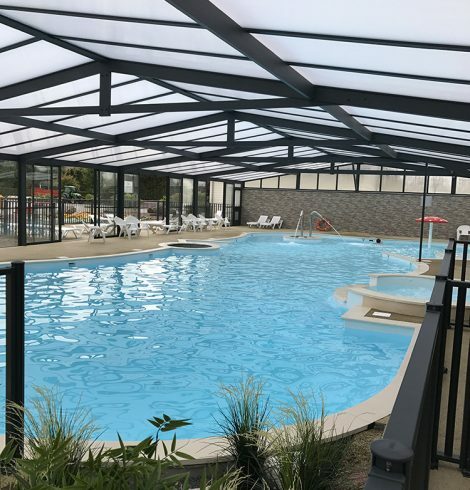 A new 20m indoor swimming pool is open to all campsite guests. 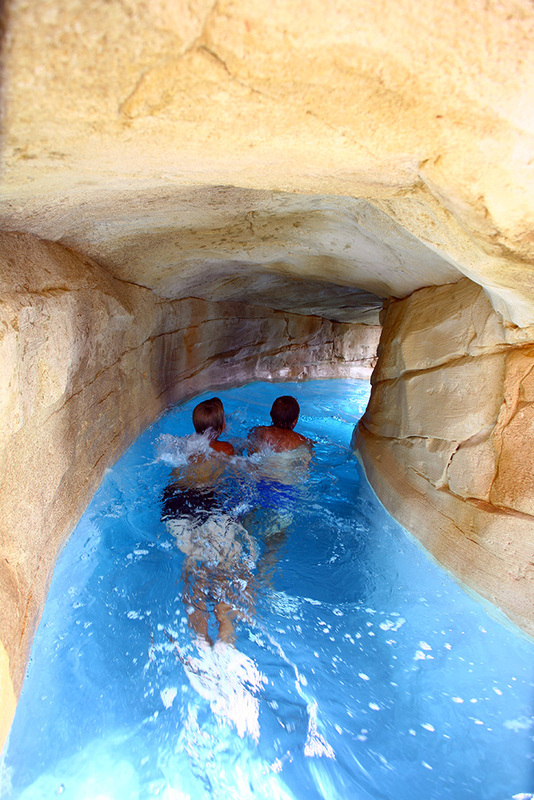 Make the most of bad weather to swim a few lengths. 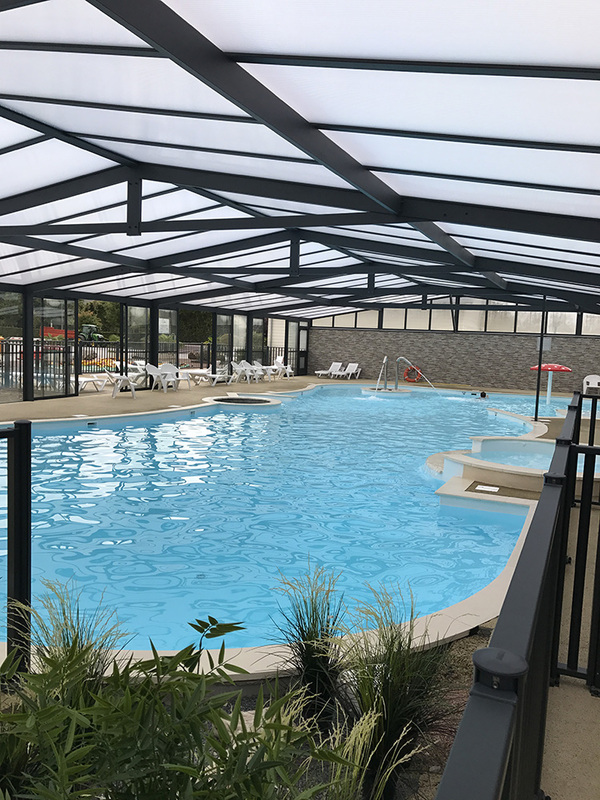 Our unsupervised, heated indoor swimming arena includes a 20m pool, paddling pool and jacuzzi. 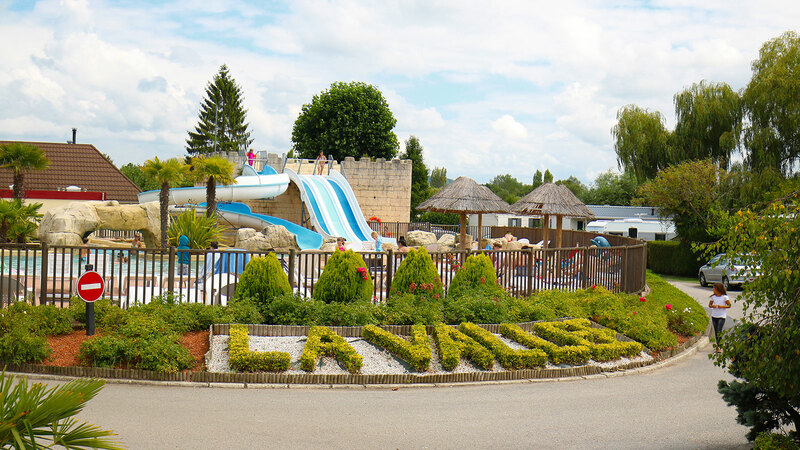 Opening times: available from the campsite reception. 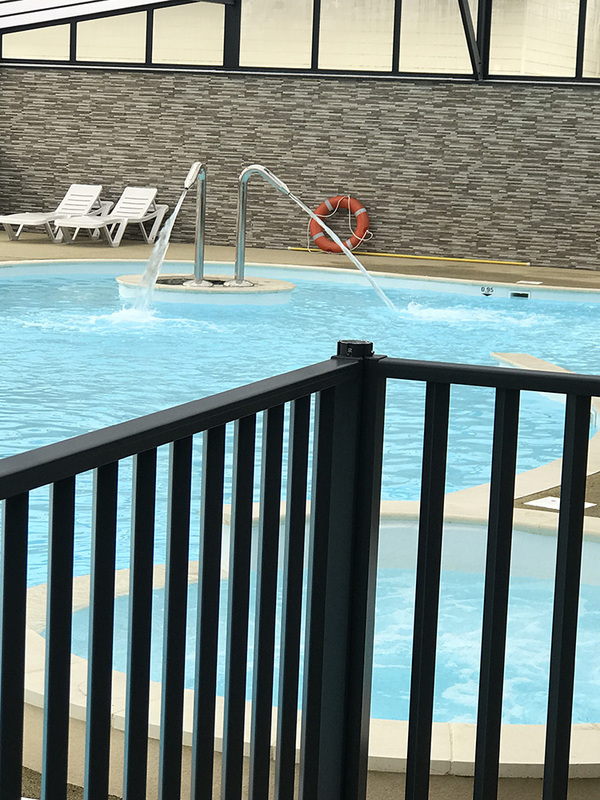 Recharge your batteries in the deliciously warm water, and after swimming a few lengths, relax under the water jets or in the bubble bath. 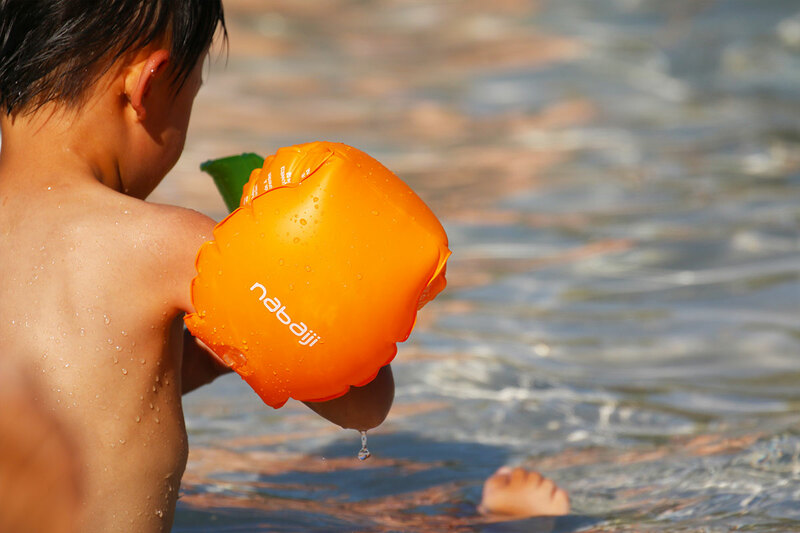 The whole family can go for a dip without worrying about the weather. 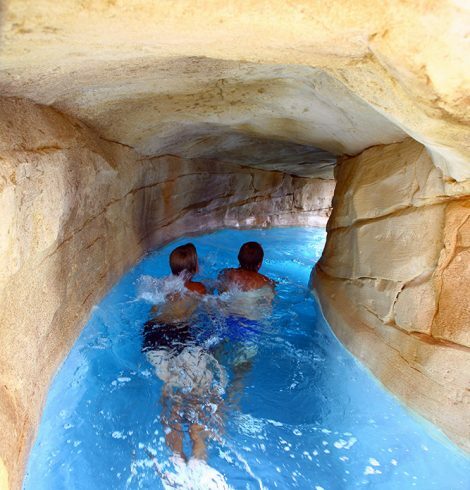 Relaxation and well-being will be on the agenda for your holiday! 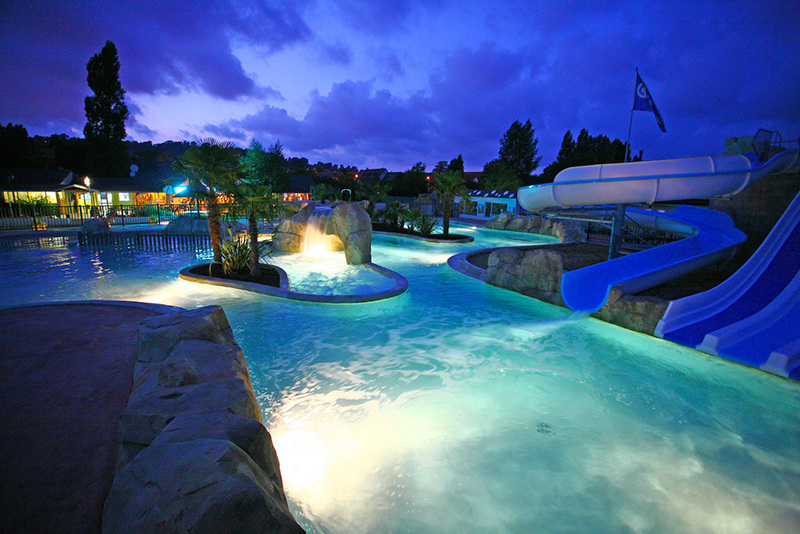 Our unsupervised heated, outdoor swimming pool is open from 15th June to 15th September. 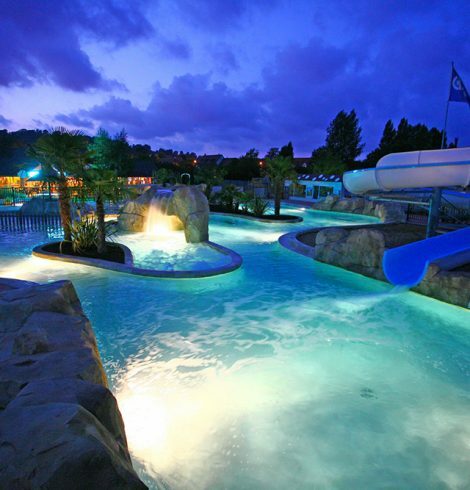 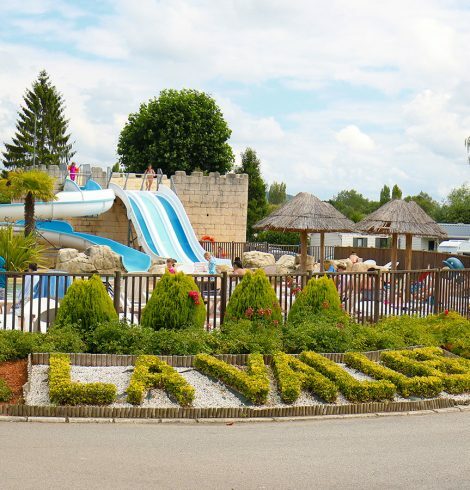 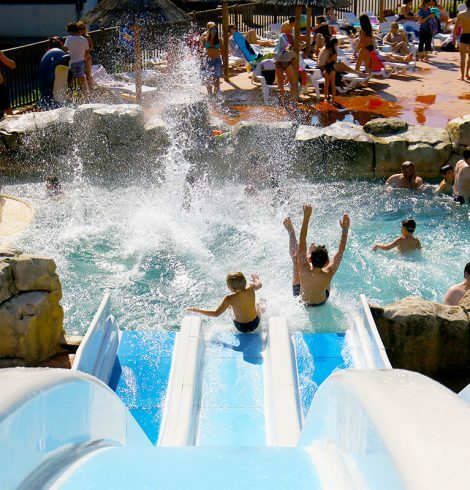 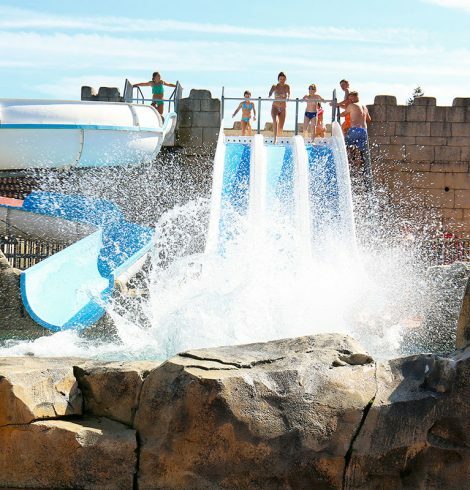 The Vallée de Deauville 5* Campsite swimming complex provides fun for all ages, with its pools, waterfall, water features and slides. 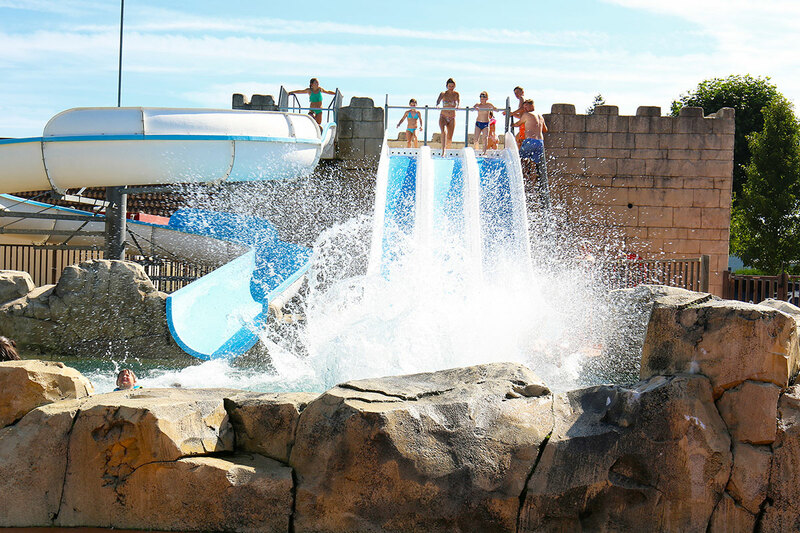 Accompanied by their parents, younger children can safely explore the joy of water in the paddling pool, whilst older ones can whiz down the slides! 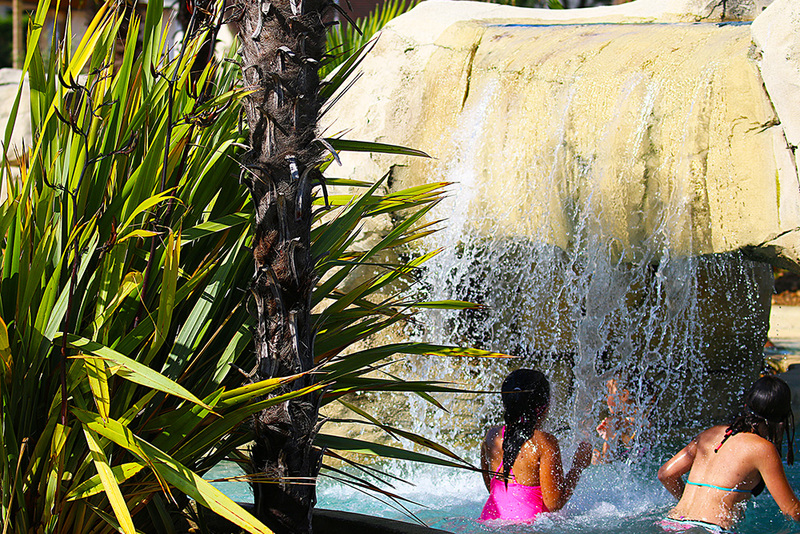 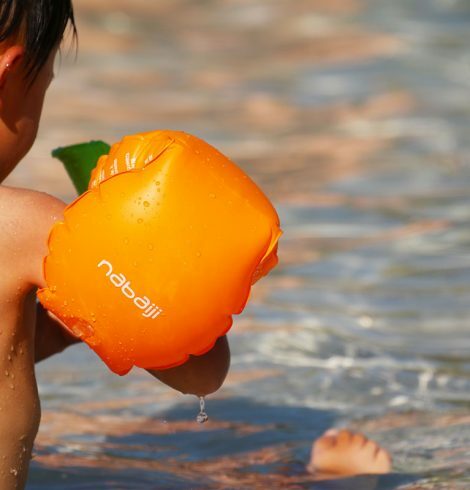 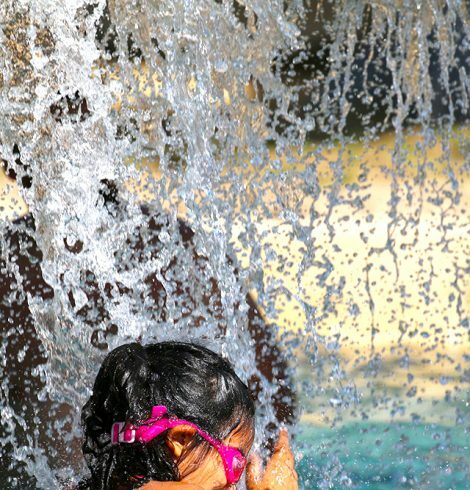 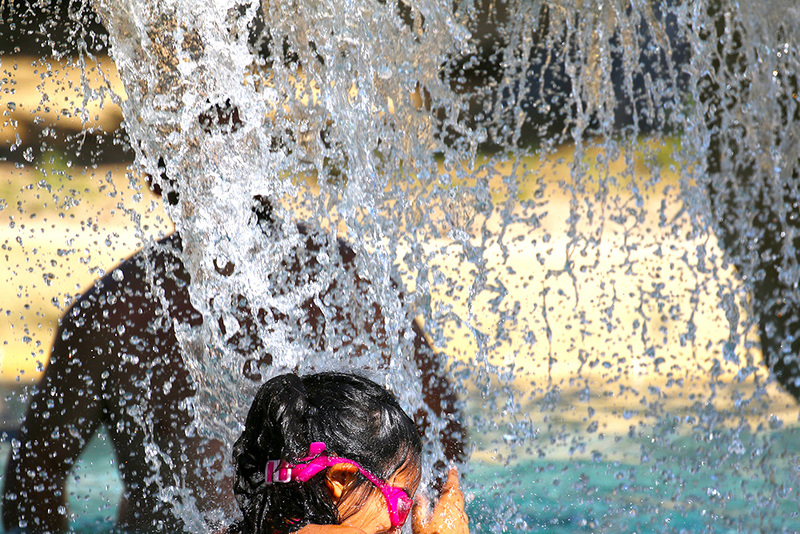 In the lovely warm water, children and parents can have fun in the sun! 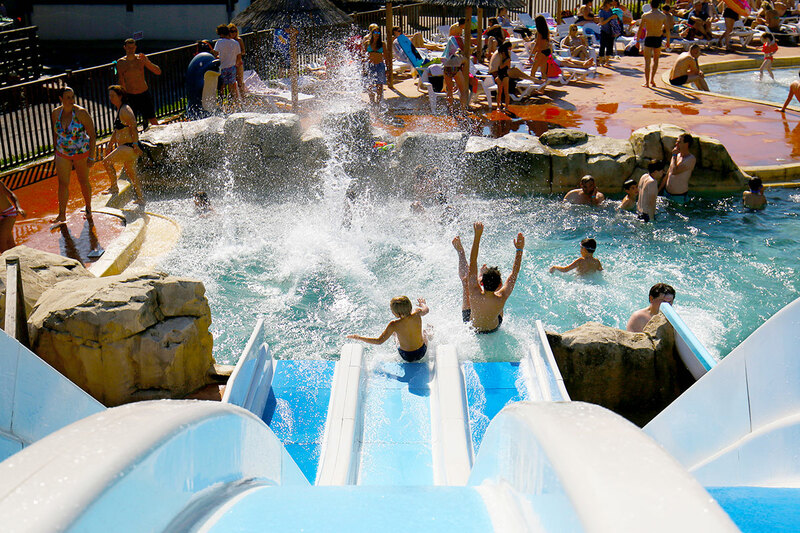 Sports lovers will also have a great time. 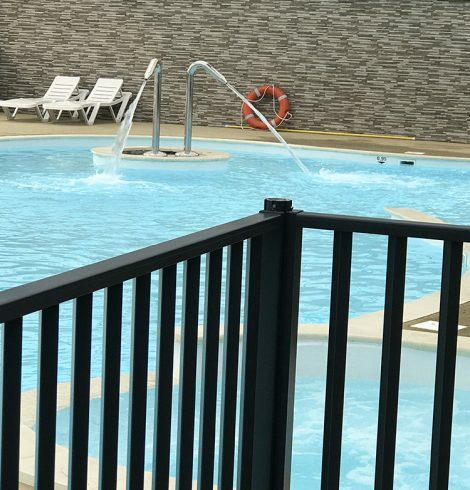 Around the swimming pools, we have laid out sun loungers, so you can come and enjoy the long leisure beaches. 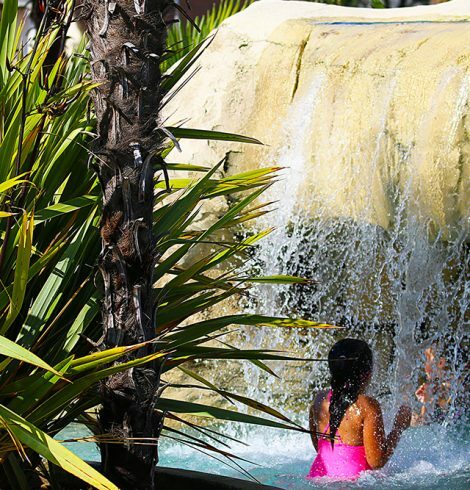 Water features, sliding and lazing on a sun lounger… a tempting plan for great holidays!